How To Make Pancakes From Scratch | Just The Right Spice! Here’s how to make pancakes from scratch, it’s easy to make these breakfast favorites simply follow along with the photos below. You’ll find two recipes below, one for pumpkin spice pancakes and a basic pancake recipe. All follow the same method! 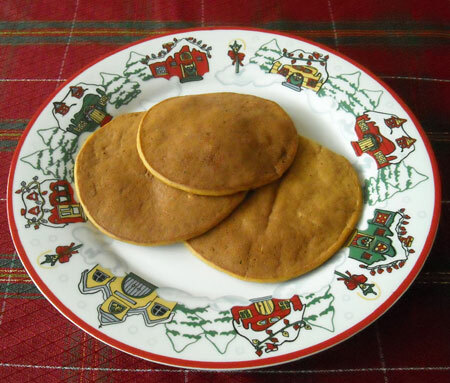 Your whole family will love these delicious and healthy pancakes on a cold winter morning. Serve them with real maple syrup or your favorite pancake toppings. 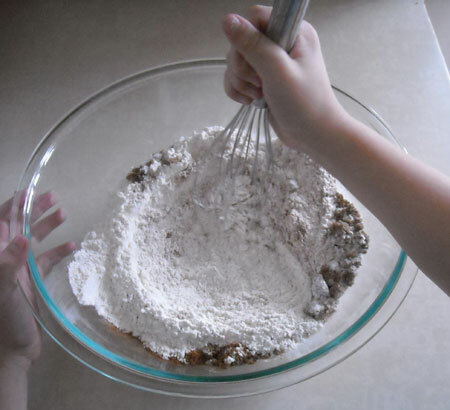 Directions: Measure all dry ingredients and place in a large bowl. Mix together until well blended. In another mixing bowl, add the wet ingredients. Mix wet ingredients together with a wire whisk until fully combined. 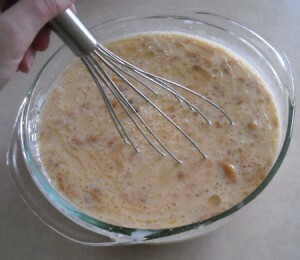 Add the wet ingredients to the dry and stir only until combined. 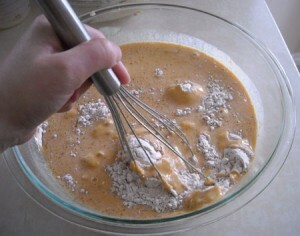 It’s important that you don’t over-mix the batter, yes it should be lumpy! Preheat a non-stick skillet or cast iron griddle on medium heat. If you aren’t using a non-stick pan, spray with cooking spray or add a teaspoon or two of oil to the pan, so pancakes don’t stick. 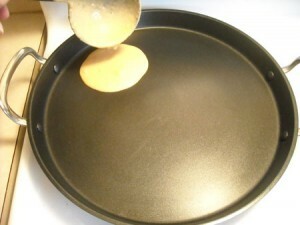 Using a ladle, pour about ½ cup of batter to the skillet per pancake. Allow to cook until bubbles form on top and edges look dry, then flip and cook on the other side. Cook for a couple minutes more until browned. 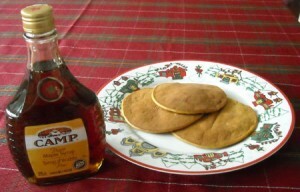 Serve with maple syrup or your favorite pancake toppings. Makes about 12 pancakes. If you prefer regular pancakes here’s the recipe! It’s not hard to make pancakes from scratch! This recipe has been added Real Food Wednesday list on Kelly the Kitchen Kop’s blog. Hello! Following you from Social Moms Bloggroll on Facebook. I love trying new recipes and when I saw your blog I had to stop. 🙂 My daughter loves pancakes. We will have fun making this recipe together!